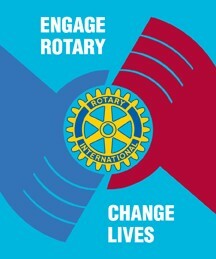 East Kilbride Rotary Club have two internal golf competitions. These are played for on an annual basis. The James Taylor Salver was presented to the Club in 1965 by the Rotarian James Taylor who was the professional golfer at East Kilbride Golf Course. The Rhu Trophy was gifted to the Club by Rotarian John Sergeant who was a solicitor in the town. 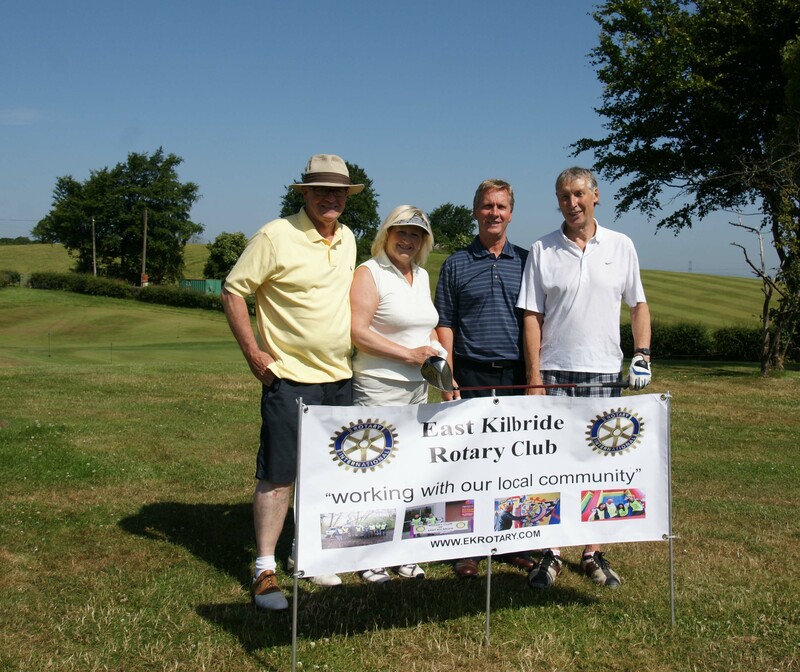 At a well organised Club AM/AM Golf tournament held at East Kilbride Golf Club the Rotary Club raised £7000 for Two Local Charities namely Toys for Kids & East Kilbride Dementia Carers Group. Winners this year were were the team sponsered by President Elect Archie King who went under the non de plume of PURE WASH who where Enid King , Martin Lang , Peter Lavery & Archie King. The Rhu Trophy was played for on the 29th of August with 9 club members playing in a stableford competition at East Kilbride Golf Course. This years winner was Liam Donnelly who returned a score of 40 points putting Archie King into second place with a mere 33 points. After the game those playing proceeded to the restuarant where they enjoyed a good meal coupled with good fellowship. 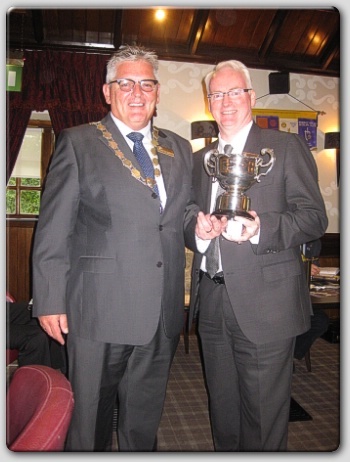 The picture shows Liam receiving the trophy at our Friday lunch time meeting from President David Brown. A golf event was held by Glasgow Rotary Club Golf Fellowship v Edinburgh Rotary Club, a match that was started 100 years ago. As Glasgow RC have been short of members for their Golf Fellowship they approached several local Rotary Clubs whose members might be interested in joining them. EK have four or five members who play with them at their monthly competitions and three of us played as individuals v Edinburgh. The Prowess of East Kilbride Rotary Club has once more came to the fore with their skill on the ice rink when they once again achieved a success in winning the Rotary Curling Garside Trophy. Ray Porrelli, George McGraw, Jack Blackwood & Jim Moretti having secured a narrow victory over the Paisley & Gryffe Valley team with the last stone of the semi-final, the East Kilbride team expected to face a Bothwell & Uddingston team in the final of the Glasgow & District Rotary Championship. However, Hamilton were the surprise victors in the other semi-final and faced the same East Kilbride team at Hamilton Ice Rink on 31 March. After a poor start; losing a two against the hammer in the first end; East Kilbride settled down and never lost another end, running out winners 13 - 2 in the seventh end. Bothwell & Uddingston defeated Paisley & Gryffe Valley in the play off for third place, with a similarly convincing victory. This success followed on from the East Kilbride team's performance in the Ramshead Trophy (effectively the Rotary Scottish Championship) at Perth Ice Rink earlier in the month, when they lost to the local Perth Kinnoull team in the final.